After four days of labor to bring my sweet son into the world, he arrived perfect. I was exhausted when a nurse came in and said that it was time for him to be circumcised. I had been preparing for my sons arrival for months. I had read everything I could to try and make sure that I made informed decisions on his behalf. I chose breastfeeding, no vaccines at birth, etc. I really thought I had covered ALL the things I would need to be prepared for. 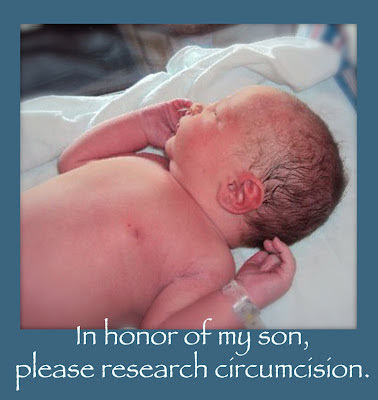 But there I was faced with a procedure that I had failed to educate myself on: circumcision. I told the nurse that I was not okay with my son being cut. She informed me that this hospital used a no-cut device called a Plastibell. She said that it was a pain free method for my son. It was in that moment that I made a decision on his behalf that I regret, and will regret, for the rest of my life. I signed off on the procedure. 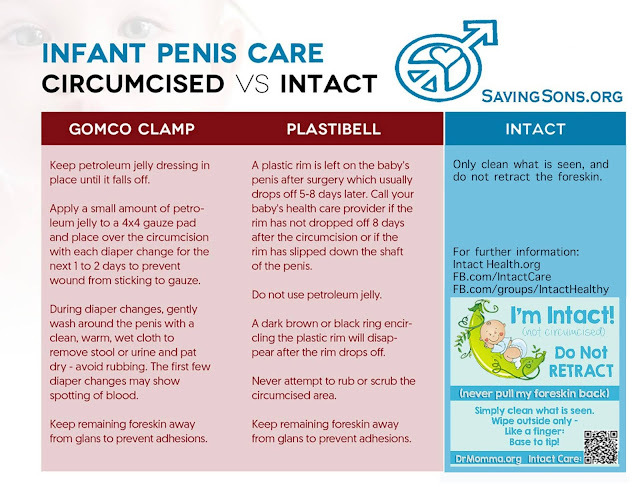 I knew that I wasn't okay with a scalpel, knife, etc., being used on my newborn -- but here was a great cut-free, pain-free alternative, right? I could not have been more wrong. When my son was brought back to me he was crying in such a way that shattered my heart. I knew in that instant that I had made a terrible mistake. 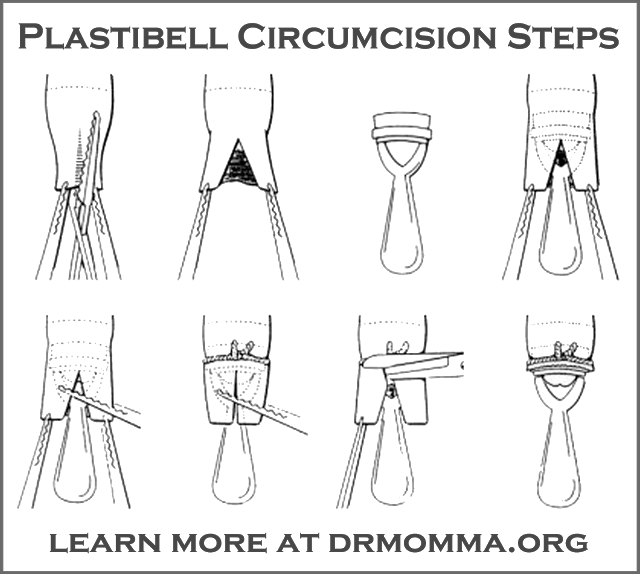 It was only after getting home that I looked up the Plastibell method and discovered the terrible truth behind it. I was horrified at my ignorance. 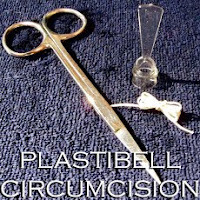 Two weeks later my son had his check up and the physician told me that the Plastibell procedure had not been performed correctly - that my son's foreskin was still "to long." Without so much as asking my permission my son's doctor had his nurse begin to gather the necessary instruments to "fix the problem." In that moment, I informed the doctor that my son was fine as he was and that we would NOT be "fixing" anything. He did not approve and we were forced to find another doctor. I failed my son when I signed those permission papers in the first place, but I refused to damage him further. I can never take back what I subjected my son to by allowing him to altered. But hopefully by sharing this I can encourage other parents to be more informed than I was, and to not fall for the Plastibell lie. 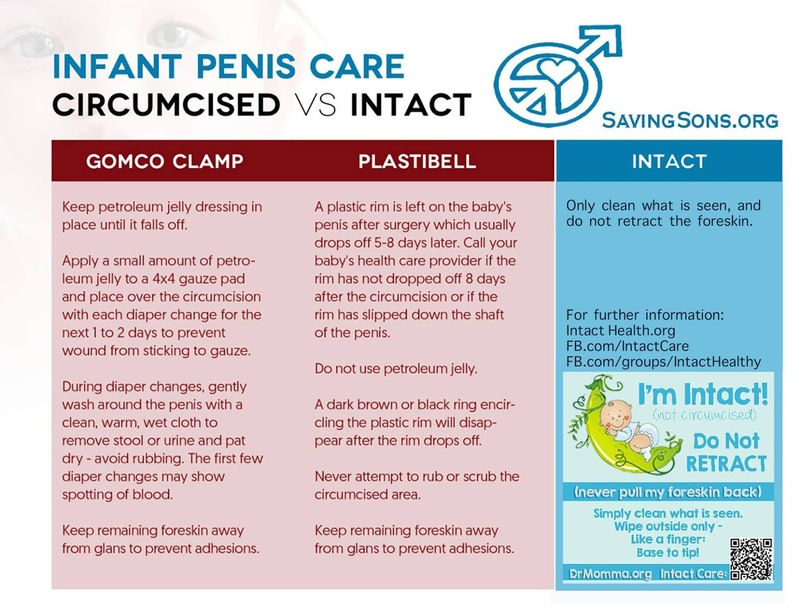 To learn more about the Plastibell method of circumcision, that many parents are told is 'cut-free' 'blood-free' and 'pain-free' please see: Plastibell Infant Circumcision. 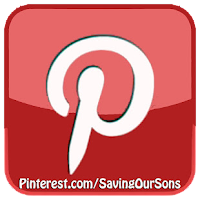 Hear from other parents whose sons were circumcised before they had accurate information or support at I Circumcised My Son: Healing From Regret and Keeping Future Sons Intact. 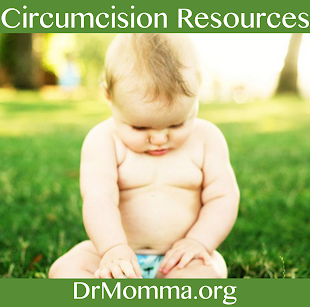 Resources on intact care and circumcision are gathered at Are You Fully Informed? and the library at Saving Our Sons. 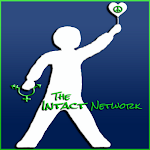 Learn more on #i2 Pi Day topics at IntactNetwork.org/research or via the starting off resources at Are You Fully Informed? Diagram One shows the incidence of prostate cancer (red) and mortality rate of those inflicted with prostate dancer (blue). Keep in mind that North America has one of the highest populations of adult men who were circumcised at birth.